Kemal (Burak Ozcivit) is a young guy who is a fourth year college student studying mine engineering. At the same time, Kemal works at boats and raises money to support his family. He does not have a wealthy life but he never complains about being poor. Nihan (Neslihan Atagul), on the other hand, is a young and beautiful girl who comes from a rich family. She is a painter and enjoys her life by drawing different portraits. One day, in order to find different faces for her next exhibition, Nihan leaves behind her wealthy life and gets on a public bus. Meanwhile, Nihan and Kemal bump into each other out of pure coincidence. They both get attracted to each other: Nihan secretly draws Kemal’s portrait while Kemal secretly watches Nihan. Derya (Sevtap Ozaltun) is young girl who comes to Istanbul to study acting. However, she cannot continue her acting career when her father is being imprisoned for no reason. In order to free her father and clear their family name, Derya has to find one million Turkish Lira. Luckily, her way intersects with her father’s old friend Kandemir (Ugur Polat) who decides to help Derya to raise enough money. Asli (Demet Ozdemir) is a young and beautiful girl who works at a pastry shop and loves making delicious cakes. While she is delivering a strawberry birthday cake to the customer, she is involved in a car accident and ruins her cake. The person who is driving the car is Burak (Yusuf Cim), a famous womanizer belonging to a rich family. They start discussing from the moment they bump into each other and wish not to see each other again. Su (Sinem Kobal) is a beautiful, intelligent and sportive girl who belongs to a rich family. She lives with her granny and is always at the center of attention. Each student at school considers Su as a perfect girl and each boy wants to be her first boyfriend. Even her close friend Arzu (Ipek Karapinar) is jealous of her success and her perfect life. Kumsal (Ezgi Eyuboglu) is a young girl who has everything but is not happy. She does whatever her father says and she does not feel like she has freedom. In order to get her freedom, she wants to go to university in Istanbul. However, her father wants her to go to university in Izmir where they live and wants her to become a successful architect just like him. Despite her father’s will, Kumsal secretly applies for a university in Istanbul and gets acceptance. 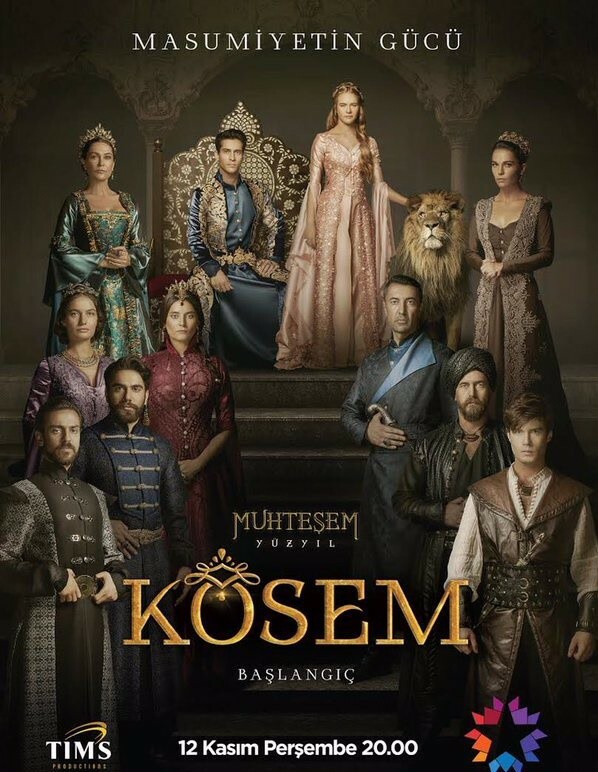 When her father does not approve her decision, Kumsal finds herself in a desperate situation. Meanwhile, she bumps into Batu (Kaan Yildirim) who is a handsome and carefree guy. Batu also gets acceptance from a university in Istanbul but he says that he would not be able to go to Istanbul due to lack of money. These two young persons decide to find happiness no matter how hard it is and they decide to run away to Istanbul together. On their way, Batu has to leave Kumsal behind without saying anything because he has to get rid of the men who follow him. Since Kumsal does not know what is going on, she just assumes that she has been swindled by Batu. Asiye (Ozlem Yilmaz) is young and beautiful girl who works as a manicurist in a small beauty salon. She lives in a poor neighborhood with her family and wants to get married as soon as possible in order to get rid of her step mother’s evil tongue. When she learns that she is pregnant, she immediately talks to her boyfriend and wants him to come and ask her family’s approval for marriage. However, her boyfriend wants her to have an abortion and mentions clearly that he has no intention for marriage. Asiye fears about honour killing. That’s why, she wants to have a final talk with her boyfriend in order to persuade him for marriage. However, her talk does not go well and she injures her boyfriend with a knife. She thinks that she has killed him and for this reason, she runs away from her house. Her sister Mine (Elifcan Ongurlar) does not want to leave Asiye alone and accompany her. They together leave everything behind and decide to go to another city.